Kenta Sakaguchi (Kiichi Nakai) was a yakuza member and he spent 13 years in prison for killing a rival yakuza boss. Hidehiko Hirohashi (Yusuke Santamaria) was a secretary for a politician. He took the blame for the politician’s act. Isao Okawara (Pierre Taki) was a self-defense official, but he took in arms against the government. 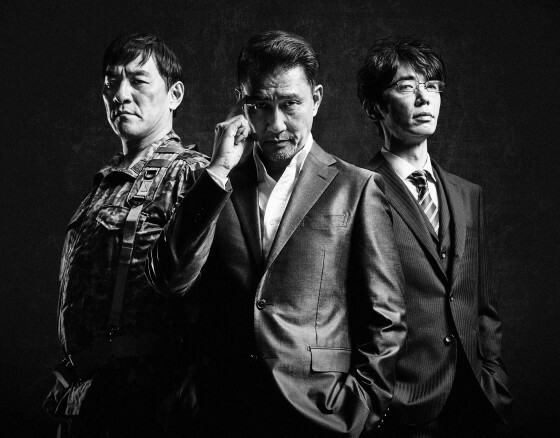 Kenta Sakaguchi, Hidehiko Hirohashi and Isao Okawara gather under retired ex-detective Gonzaemon Mukai (Katsuhiko Watabiki). Kenta, Hidehiko and Isao get even with people who betrayed and deceived them. Based on novel series"Kinpika" by Jiro Asada (published from 1992 to 1998 by Kobunsha).